Greer's OC | Spend Sunday afternoon with two amazing chefs! Spend Sunday afternoon with two amazing chefs! At Zov’s Bistro in Tustin you can spend an afternoon with Chef Dave Martin from season one of Bravo’s “Top Chef” and chef/owner Zov Karamardian Sunday at 11:30 a.m. The duo will be performing a live culinary demo and hosting an intimate three-course lunch. The demo and lunch is priced at $75 per person. Space is limited and reservations can be made by calling Connie Tran at 714.838.8855, ext. 21. Zov’s Bistro is at 17740 E. 17th St. in Tustin. . 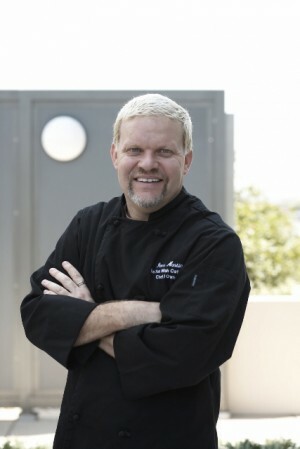 Chef Martin will demonstrate signature dishes, including his famous black truffle mac and cheese, cider-marinated pork tenderloin with hoisin and fresh apple cider with apricot and mango chutney, roasted wild mushroom mashers and brussel sprouts. For dessert pumpkin panna cotta with gingerbread cookie. Caramelize shallots with fresh herbs and then add roasted garlic and deglaze with sherry and brandy then let truffles infuse and let mixture cook down on stovetop for about 30 minutes until the cream is reduced and thickened. Drain pasta from stovetop and then mix in fontina and parmesan along with the reduced cream and then top place into ramekins and top off with seasoned bread crumbs and bake at 350-400 degrees until heated all the way through and serve.